Follow the steps below to download drivers compatible with the HP Photosmart C4240 printer, if you have any preguta, type a comment. 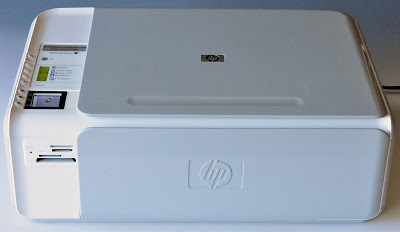 The HP C4240 printers use ink cartridges 74 and 75 can be considered the golden age in HP printers, these cartridges with the printer are synonymous with resistance and give good quality printed documents with them. Not to mention the possibility that we have to refill the ink cartridges and still get good quality printouts and quality almost as if we bought these new cartridges. Before reading this book to install the driver is recommended to look at our publication on how to download the drivers from the manufacturer's website HP. If you have the Windows XP operating system is that the driver installation will be necessary, if you have the Windows Vista operating system or more simply connect the printer directly to the computer and everything is working correctly, printer connects to electricity, computer on and connected to the Internet. The printer will begin a process of automatic installation for these latest operating systems that need access to the Internet to update universal drivers compatible with the printer. In case you need to understand how to install the drivers downloaded from the Internet, follow the procedure on our link. You need to know which operating system you are using, and how many bits is your operating system. If you have problems installing these drivers or have any personal question, write a comment on this publication or visit the link to help if drivers can not be installed.